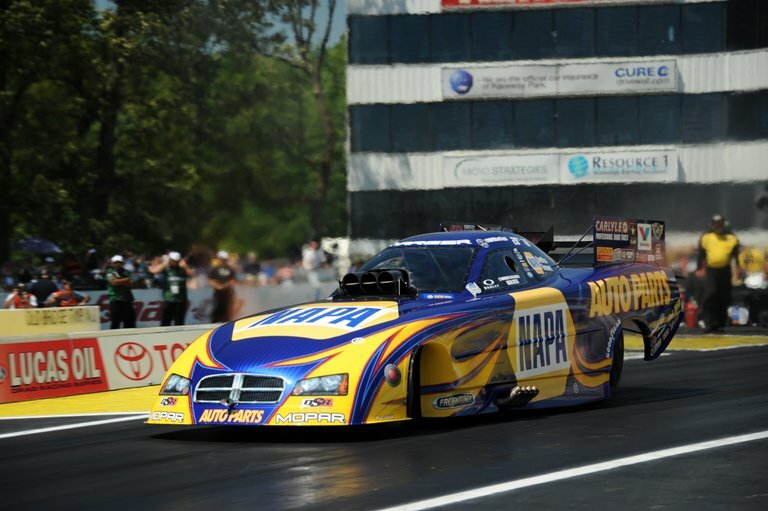 ENGLISHTOWN, N.J. (June 2, 2013) – It was a disappointing trip for NAPA Funny Car driver Ron Capps at Old Bridge Township Raceway Park at Englishtown, N.J., for the 44th annual NHRA Toyota Summernationals. But despite a subpar No. 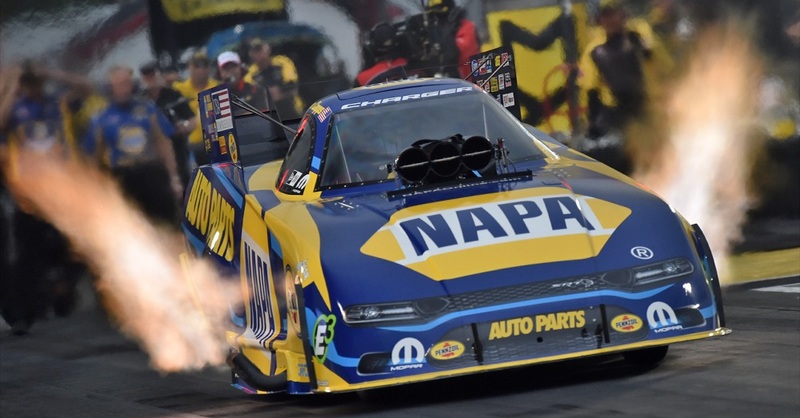 11 qualifying position and loss in Sunday’s opening round, Capps and crew chief Rahn Tobler at least were pleased with the performance of Don Schumacher Racing’s Dodge Charger R/T. 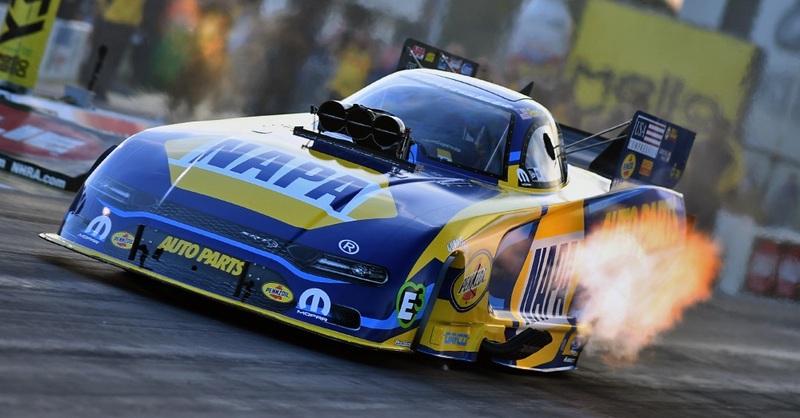 In fact, the NAPA AUTO PARTS team thinks it has identified a problem that limited its performance. 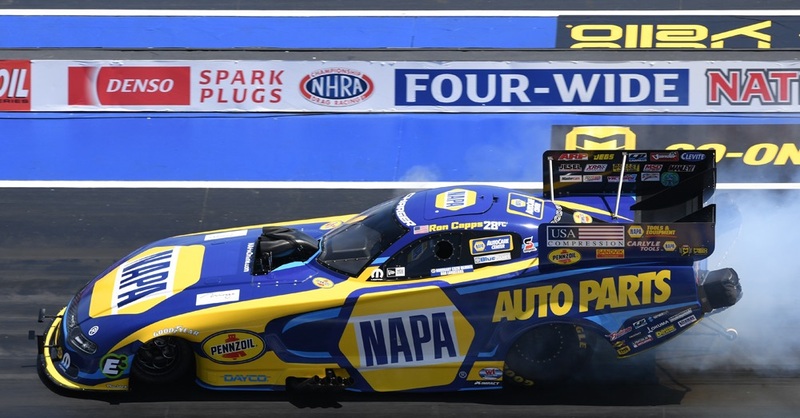 Capps and Tobler tuned their Funny Car to a 4.123-second run at 306.19 mph that was their best of five tries over the weekend and tied for fourth best in the opening round. It would have been quick enough to win five of the eight first-round match-ups. 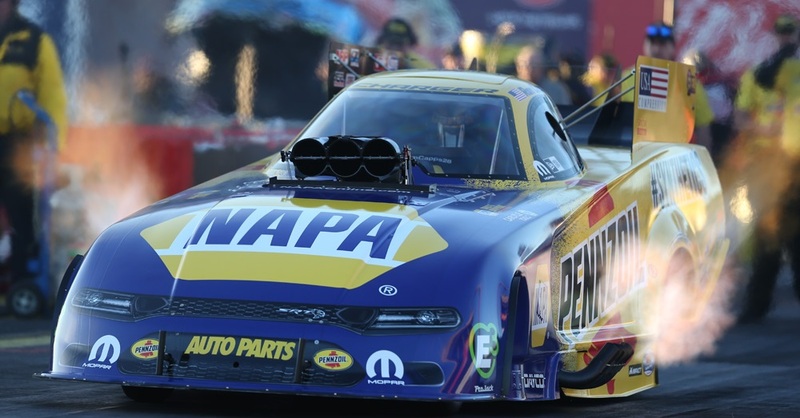 But it wasn’t enough to defeat former world champion Cruz Pedregon, whose 4.088-second pass against Capps was the quickest through eliminations on Sunday. Tobler added, “We had an equipment malfunction throughout qualifying and didn’t get a real shot at the racetrack until that run on Sunday. Today was one of the only runs when we made a full run when everything worked and we just came up a little short. NEXT EVENT: June 14-16, Thunder Valley NHRA Nationals, Bristol, Tenn. Join us at the dragway or watch the action on ESPN2.